With 2000 miles of shoreline at high pool, Lake Powell offers quality fishing for the Fly Fisherman or conventional Fisherman March through December. Our local species encompass Striped Bass, Largemouth Bass, Smallmouth Bass, Walleye and Crappie. The two marinas on this end of the Lake are Lake Powell Resorts and Antelope Point Marina. The State Line boat launch and Antelope Point Marina launch are both 9 miles from Page, AZ. Both marinas offer Houseboats for your experience at Lake Powell. Lake Powell gives the angler a “step back in time” with its beautiful canyon walls and it’s majestic beauty. With over 1 million visitors from all over the world each year, it is surely a trip you will enjoy. We offer visitors to the Page area and local residents an opportunity to check their E-mail, surf the Internet or transfer their digital pictures to CD. 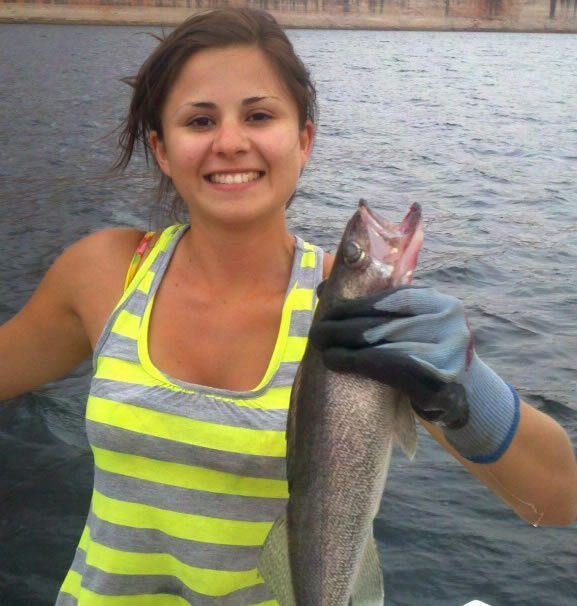 AZ Game & Fish Licenses (also Utah Licenses & Stamps) & Tackle. Owners: Mike & Thea Stickler. Want a Side Trip for the Family? Navajo owned tour business offers Native American Guides to visit Antelope Canyons This trip is designed for the adventurous, all done in a 4 wheel vehicle to see some of the most majestic canyon walls that has drawn visitors from all over the world year after year. Photography is a must, so bring your camera to capture your canyon tour here at Lake Powell. 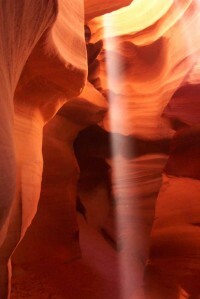 The trip to Antelope Canyon is a one of a kind, “memory for a lifetime” adventure not to be missed. Book your trip today while visiting Lake Powell. Striped Bass 1991 48-11 45 Travis Jenson San Juan Wilson Crk.